This week our latest paper entitled Law on the Market? 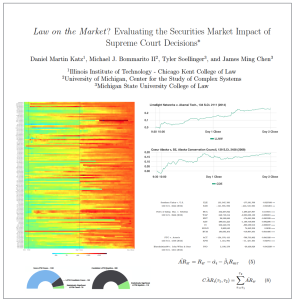 Evaluating the Securities Market Impact of Supreme Court Decisions. It was recently covered by the Wall Street Journal under the headline “Do Supreme Court Decisions Move Markets?” The short answer is yes. Do judicial decisions affect the securities markets in discernible and perhaps predictable ways? In other words, is there “law on the market” (LOTM)? This is a question that has been raised by commentators, but answered by very few in a systematic and financially rigorous manner. 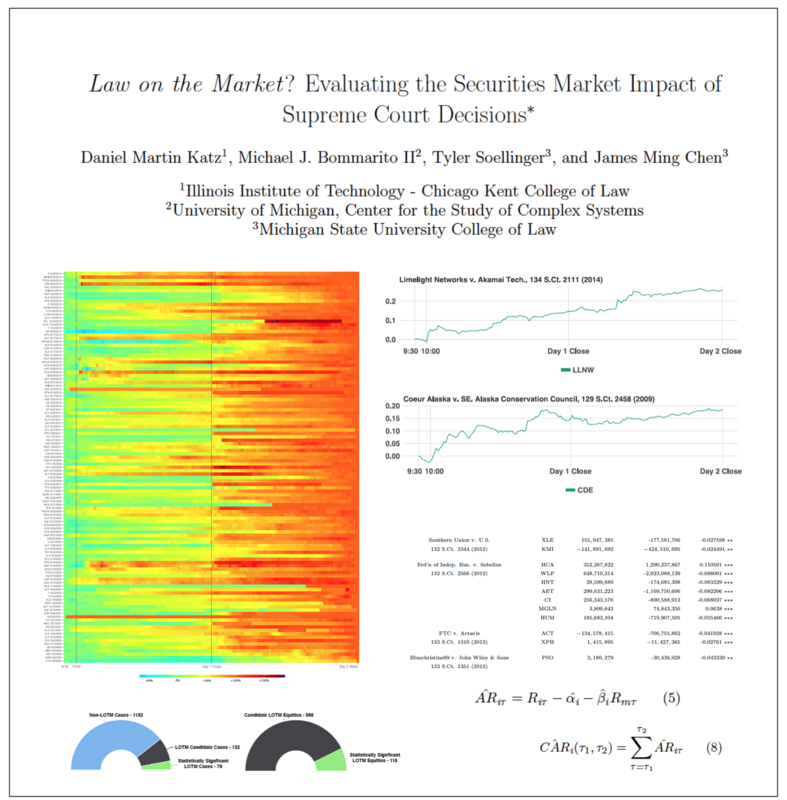 Using intraday data and a multiday event window, this large scale event study seeks to determine the existence, frequency and magnitude of equity market impacts flowing from Supreme Court decisions.